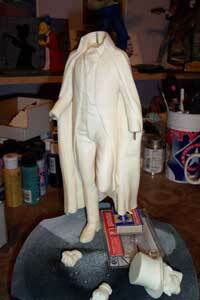 ...seamlines, what little there was, sanded and pins glued in place for hands and head. 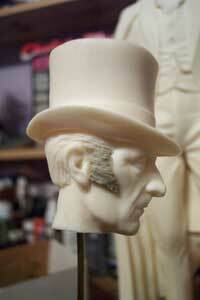 I've always liked Peter Cushing with sideburns. 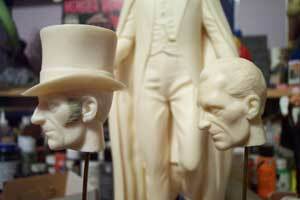 I sculpted these with Magic Sculp. 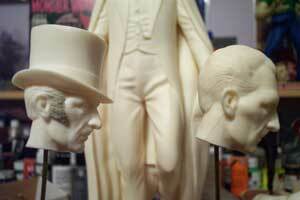 The plan is to build the kit with interchangeable heads, so I'll leave the other head as it was originally sculpted. 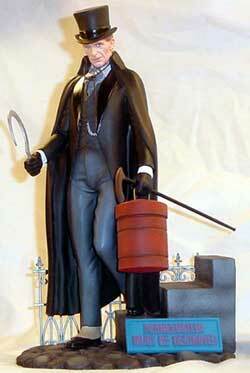 Even un-painted the likeness to Peter Cushing is astounding! !